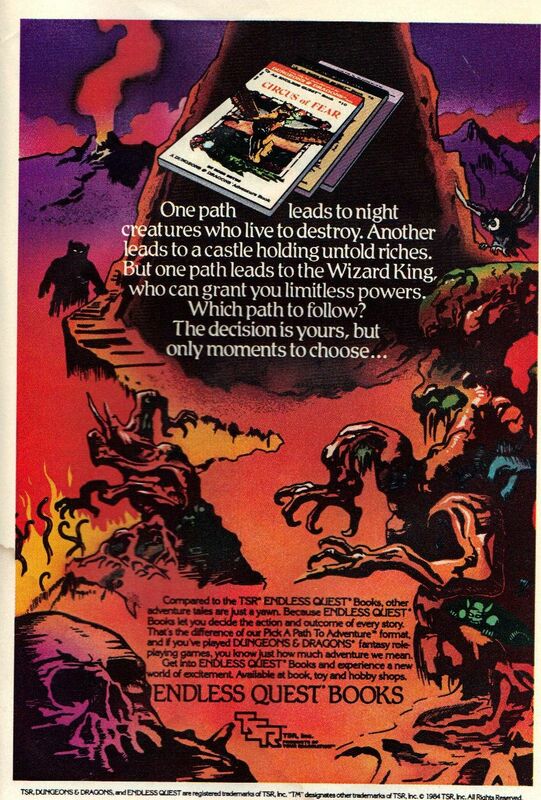 TSR’s Endless Quest series came out in 1982, and was promptly lapped up by D&D-heads everywhere. The “Pick-A-Path to Adventure” tag was a direct rip-off of the hugely successful Choose Your Own Adventure line, which I also loved, but Endless Quest was grittier and had cooler cover art (the covers above are by Larry Elmore). Thanks to Demian Katz for the book cover images, and for providing a comprehensive database of the series, including a summary and review of each volume. Some ads below.